Moving right along into day twelve of The Blog-tember Challenge, and the end of another week! I have to admit I put this prompt on the list with this very tradition in mind. It is one I love and hold very dear, one that played a huge part of my college experience, and one I think you'll find interesting, as well. Traditions fascinate me, and I cannot wait to read yours! Today's prompt: Tell us about a favorite tradition. It could be a family tradition or from a holiday, university, you-name-it. What makes it so special? All University Sing is a tradition unlike any other. 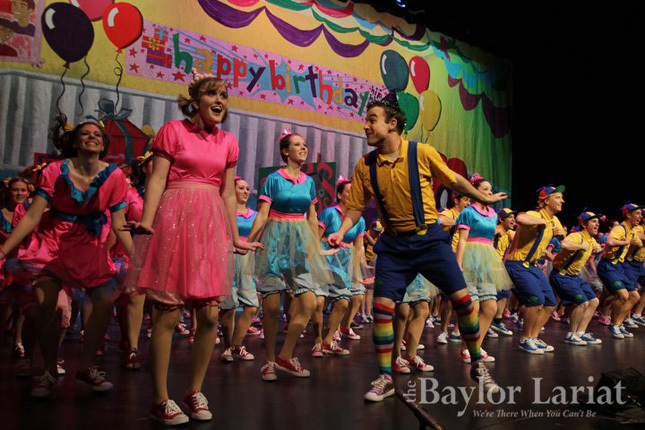 It has been part of Baylor University's student life for over 60 years, and is one of the largest, if not the largest, off-Broadway Broadway-style production in the nation. Hundreds of performers prepare for weeks on end for this competition comprised of music, dancing, singing, and more. Each year between 15-18 Greek groups (+1 for non-Greek students) come up with a theme for a 7 minute musical number/mini production. Each theme is submitted for approval along with the songs the group wants to use. Certain songs become unavailable once used, and no two groups can have the same theme. These themes remain a secret all year until they are first revealed to the group who then rehearses for six weeks at the start of the spring semester, and after rumors are spread, reports go out, the themes are revealed at large the week of the show. There are six performances, four of which are judged, and the winners are allowed on the final night. It is quite a rush! I was part of a group called Sing Alliance, the performing group specifically for non-sorority/fraternity students. Sing Alliance is often the largest individual group, the only one coed of its own accord, and it is also known for making its own costumes, props, backdrops, and doing its own choreography. 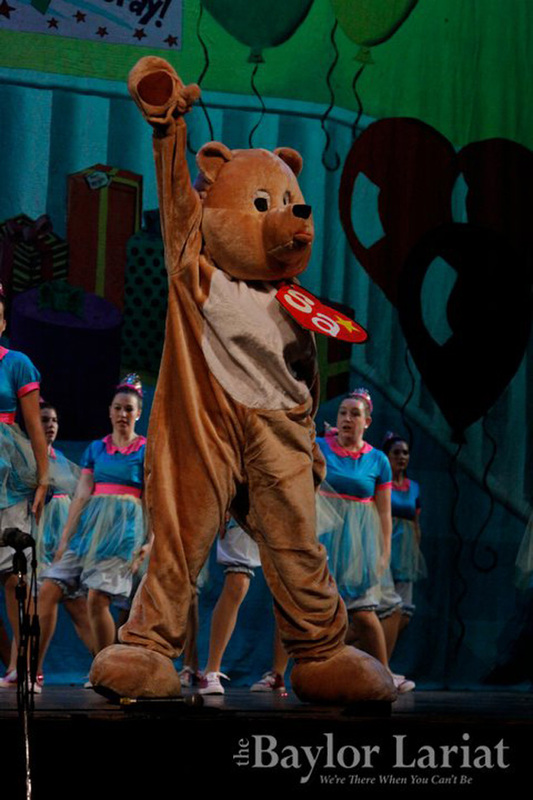 Sophomore year, all of the costumes for Sing Alliance were made in my apartment. Our theme was "Happy Birthday" and we had sparkly converse, neon spandex, and spiny hats to fit a small army. Sing Alliance that year was a small army. So the bear head was a little cross-eyed, the feet were too fluffy, the arms too long, and I couldn't breathe or see.. but boy was it fun! I wish time had allowed for me to do Sing every year, but three out of the four is pretty good. Sing runs the last two weekends in February, and the top 8 acts get to perform in the Pigskin Review during Baylor's homecoming weekend. I cannot wait to see it this year! This tradition is by far my favorite from my time at Baylor University, though there were plenty of good ones to choose from. What about you? What traditions are meaningful to you?